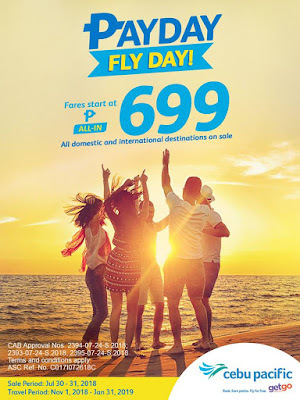 Check out Cebu Pacific's Payday Flyday Seat SALE happening NOW until July 31, 2018 (or until seats last)! 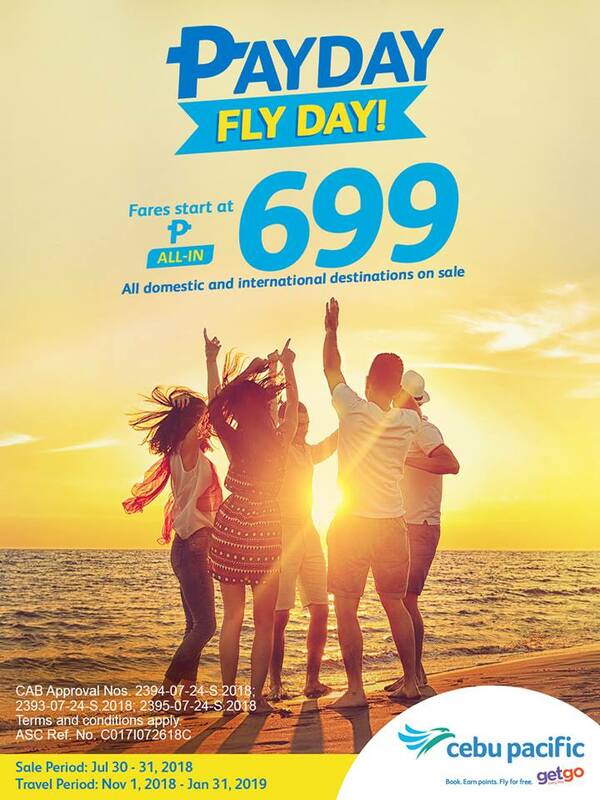 Enjoy airfare as low as P699 base fare domestic destinations and international destinations. Travel Period: November 1, 2018 to January 31, 2019. Check complete Cebu Pacific's Promo details HERE. Book HERE now! Limited seats only! Don't have a credit card? No worries, you can book online and pay at Cebu Pacific's Payment Centers. Check instructions HERE on how to pay even without a credit card.